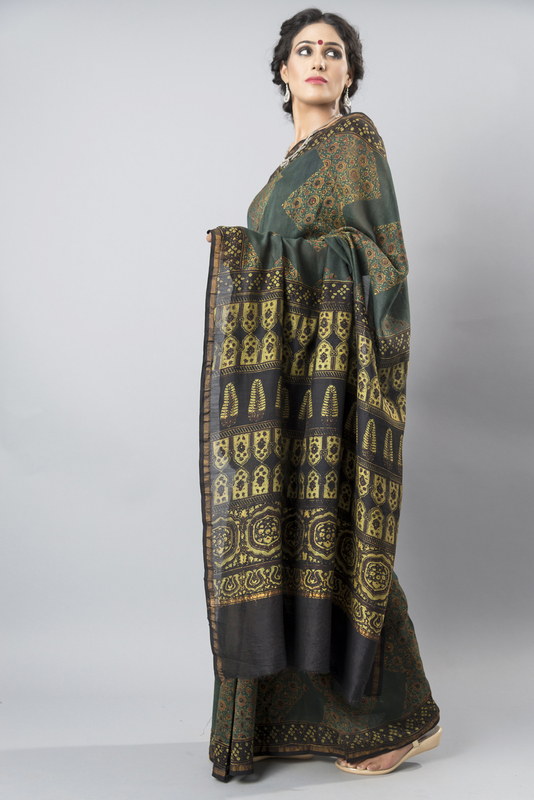 A striking saree with multiple, complimentary print types, with a pallu that has a contrasting motif. 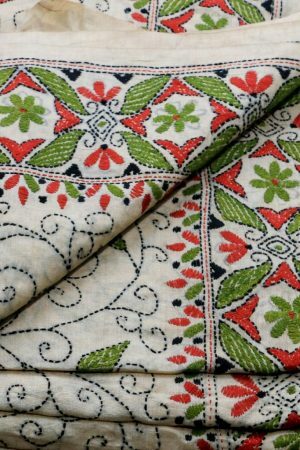 Hand printed on Chanderi silk with all natural, azo-free dyes, the piece has a gorgeous pallu with intricate print work. 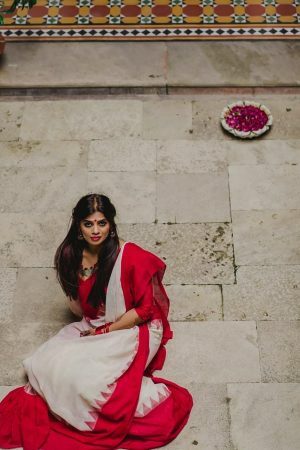 Block print sarees have a way of being compliment magnets wherever they go, particularly as a result of their unique prints and sophisticated colour usage. 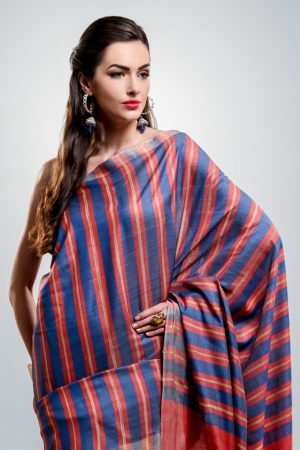 This saree is exactly that! 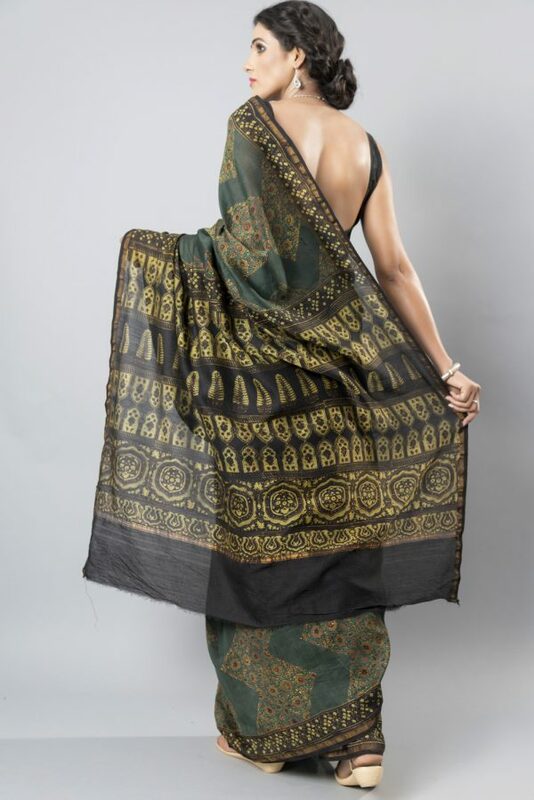 Hand printed on Chanderi silk with all natural, Azo-free dyes, the piece has a gorgeous pallu with intricate print work.